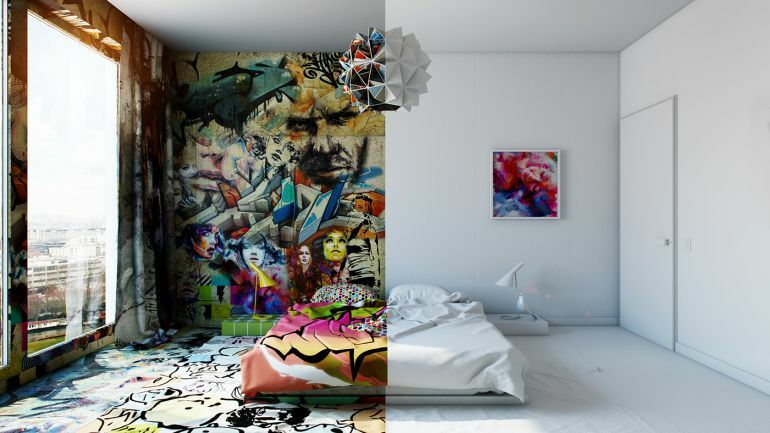 Almost looking like a mash-up of two separate frames, the above image is actually that of a single room. 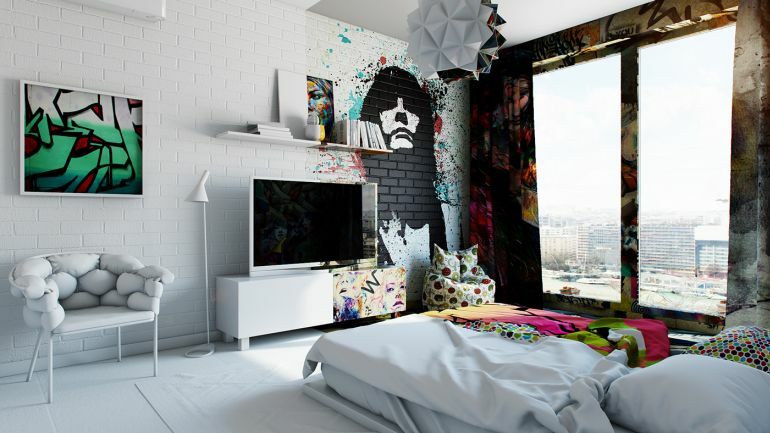 Ingeniously designed by Kiev-based Pavel Vetrov, the so-named Sunday room flamboyantly showcases the antithesis of pristine minimalism on one half and vibrancy of graffiti on the other. 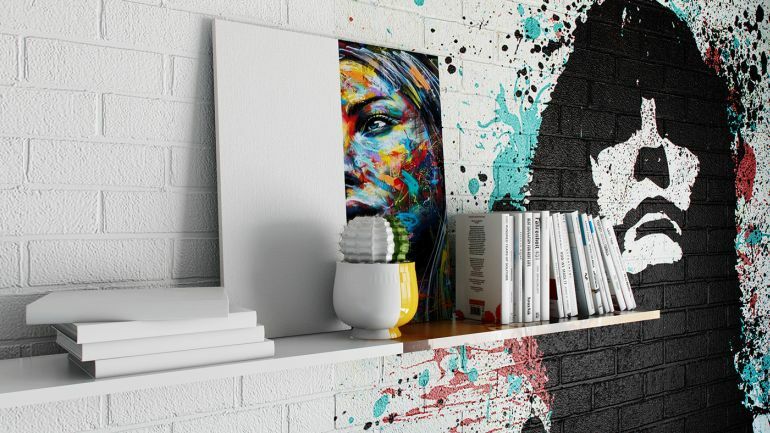 Their tones do allude to a clash of styles that brings up a unique design juxtaposition within the conventional spatial scope. And on closer inspection, one could seriously appreciate the geometrical side of affairs with both linear and surreal bearings. And, since we are waxing eloquent about the attention to the details (from the designer), we are enticed by the clear-cut dissection of the space. 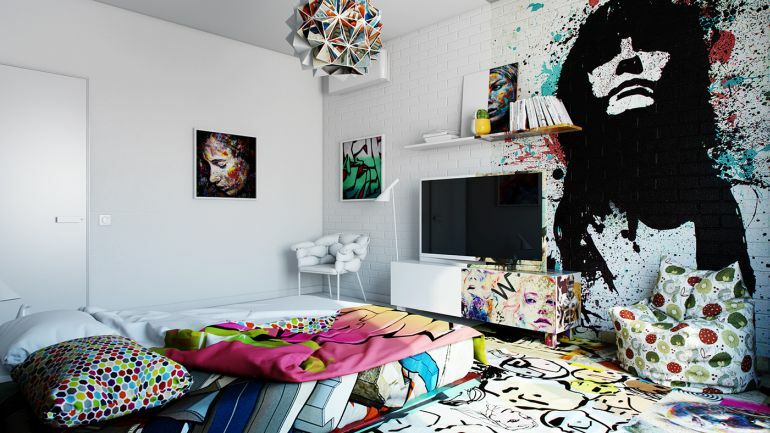 This division makes its ‘dissecting’ impact on various objects throughout the room, including the bed, the ceiling-suspended chandelier at the top, the television cabinet at the other end, and even the blank canvas with its painted half (see below images). 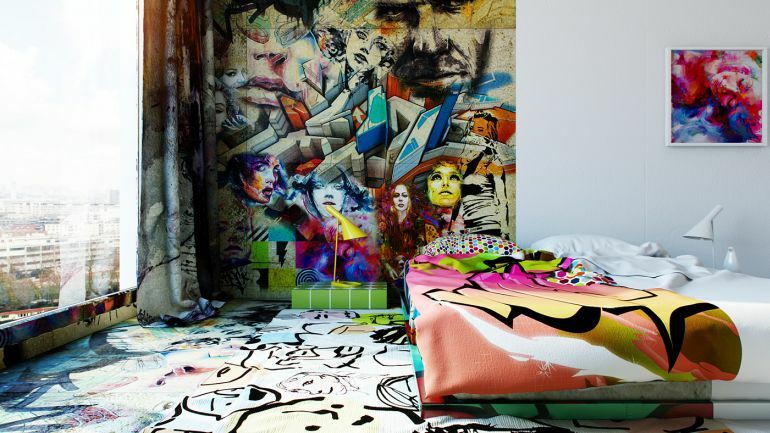 Lastly, in case you are interested, there was a similar design conception made around three years back by artist Tilt, with the end result christened as Panic Room. 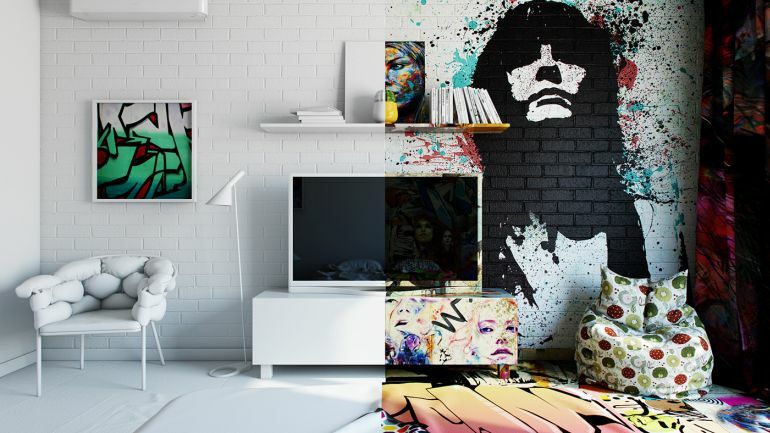 Vetrov has also made it clear that he was inspired by this preceding piece of artwork/interior design.